Full-time Professor of strategic management at HEC Montréal and holder of the Walter-J.-Somers Chair in International Strategic Management. In his research, he focuses mostly on issues related to managing complex organizations, such as large diversified firms, geographically dispersed organizations, not-for-profit organizations, state-owned firms and governments. He wrote more than a hundred academic papers on these subjects and 28 books or monographs. He has been awarded several prizes notably the Pierre Laurin Research Award, the 2000 Outstanding Teacher Award (a once in a career recognition award), and three best article awards in the Canadian Journal of Administrative Sciences and in Public Administration Review. He is a research fellow of the think tank Economic Research Forum for North Africa and the Middle East. He is a member of numerous academic associations including the Academy of Management and the Canadian Administrative Sciences Association. He is also founder of the Strategic Management Society and contributed to the International Strategic Management Association. He has conducted consulting mandates for companies and governments in Canada, the United States and some developing countries in Asia and Africa. Mr. Hafsi has participated in many international programs of HEC Montréal in China and Africa. He was a faculty member of the Graduate Diploma in Management of the Energy Sector (D.E.S.S) in Canada, China and North Africa. 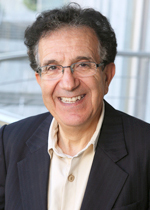 Before joining HEC Montréal, Mr. Hafsi was professor at McGill and ESSEC Business School in Paris. He holds a chemical engineering degree, an M. Sc. in Management from the Sloan School of management at the Massachusetts Institute of Technology and a Doctorate in Business Administration from Harvard Business School.